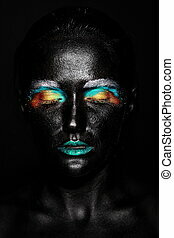 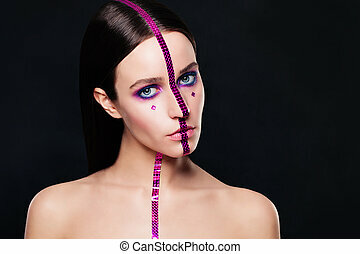 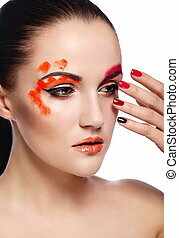 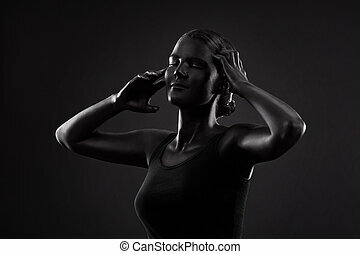 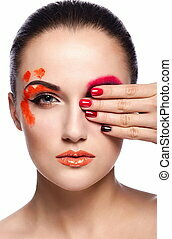 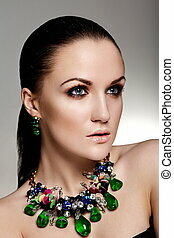 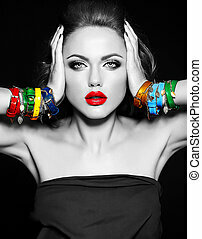 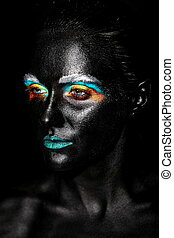 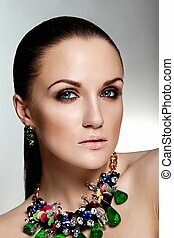 Art photo of beautiful model woman with creative plastic unusual black mask bright colorful makeup with black face. 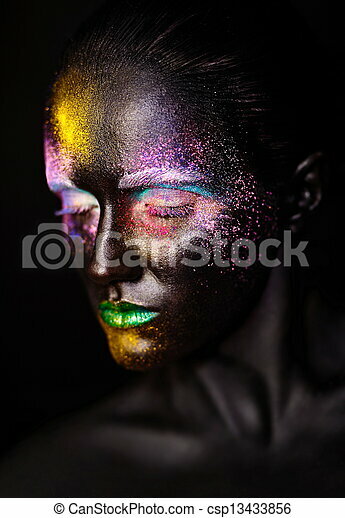 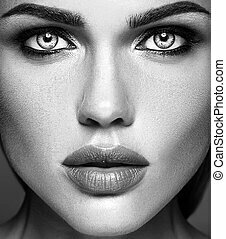 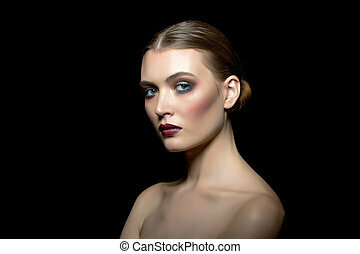 Beauty portrait of woman with creative makeup. 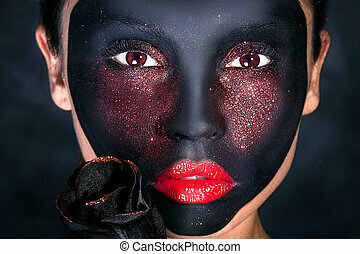 Black mask. 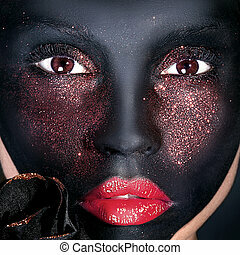 Brown eyes. 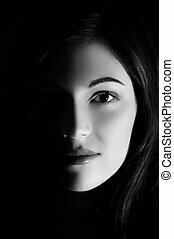 Girl looking at camera.